1Not available with special financing, lease and some other offers. See dealer for details. 2Although we do our best to ensure accurate information, mistakes occasionally occur. We are not responsible for unintentional mistakes or technical problems. For the most accurate information, call a sales pro for details. 3Must qualify through GM Financial. Not available with special finance, lease, or some other offers. Take delivery by 04-30-2019. See dealer for details. 4Not available with special financing, lease and some other offers. See dealer for details. 1Not available with special financing, lease and some other offers. See dealer for details. 2Specials Rotator 3Although we do our best to ensure accurate information, mistakes occasionally occur. We are not responsible for unintentional mistakes or technical problems. For the most accurate information, call a sales pro for details. 4Must qualify through GM Financial. Not available with special finance, lease, or some other offers. Take delivery by 04-30-2019. See dealer for details. 5Not available with special financing, lease and some other offers. See dealer for details. When you need a heavy-duty pickup truck that can tow and haul with ease, your best bet is the new Chevrolet Silverado 2500HD. Featured at our Manhattan, KS dealership, this pickup truck comes with a quiet cabin, thanks to triple-sealed inlaid doors and the use of sound-deadening materials. Its interior is not only attractive but also comfortable. On the safety front, the new Chevrolet Silverado 2500HD, offered at our Manhattan, KS dealership, comes equipped with features, such as Forward Collision Alert, Rear Vision Camera and Front and Rear Park Assist, to keep you and your passengers safe. Offering smart exhaust breaks and easy handling, new Chevrolet Silverado 2500HD, showcased at our Manhattan, KS dealership, can convert any typical workday into a thrilling one. It will surpass all your expectations of what a heavy-duty truck can be. 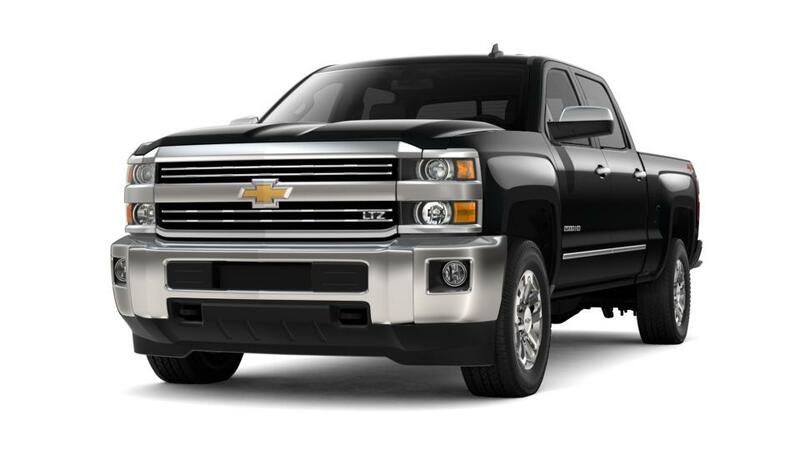 If you are looking to buy a new Chevrolet Silverado 2500HD in Manhattan, KS, you will get some exciting deals at our dealership. Our inventory page gives you all the details you require about this work truck. You can also make most of the financing options that are available at our dealership and get yourself a brand new Chevrolet Silverado 2500HD in Manhattan, KS now!